The Thomas Fire raged through portions of Ventura County during the first week of December. 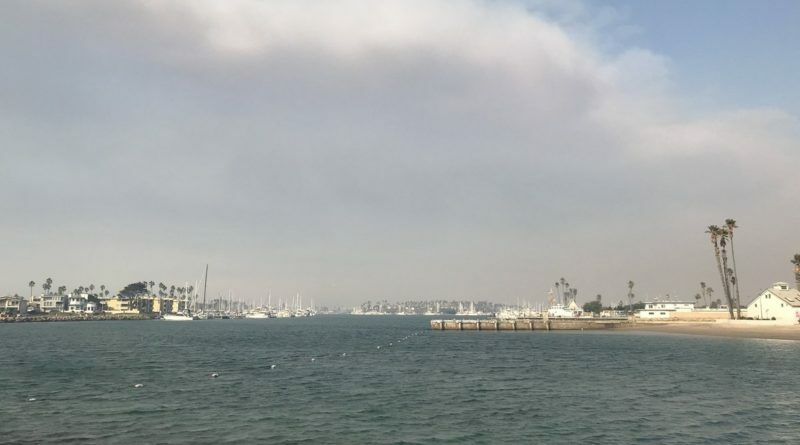 Smoke from the fire eventually made its way west, hovering over Channel Islands Harbor in Oxnard. Staff at Channel Islands Harbor tagged The Log in this photo posted on its Twitter page, Dec. 6. “Changing winds pushed smoke from the #thomasfire into the Harbor today. Be safe and stay indoors,” Channel Islands Harbor staff stated in the tweet.